April’s Full Moon is a few days away on the 25th this year. Interestingly enough, we will also be experiencing an eclipse as well. Here are a few interesting links to check out concerning the Full Moon and the lunar eclipse in Scorpio: “Scorpio Lunar Eclipse: Shadows and Truth” at Aepril’s Astrology and “Full Moon/Lunar Eclipse in Scorpio – April 25th, 2013” at Celestial Space Astrology by Dipali Desai. Here is Moon Circle’s 3 minute Taurus Scorpio Full Moon Ritual by Dana Gerhardt; “April’s Full Pink Moon” by Robert McDowell; and “Scorpio Full Moon/Lunar Eclipse: Snake in the Grass, Dragon in the Heart” by April Elliott Kent. 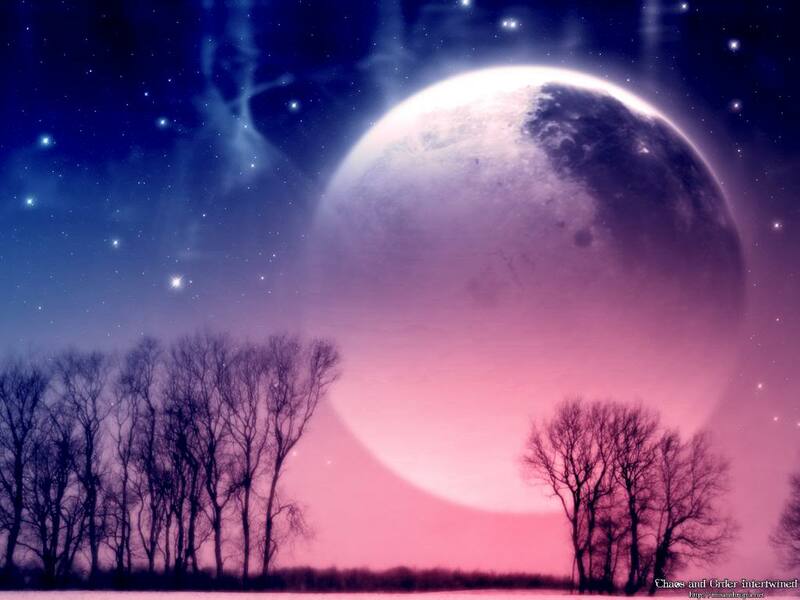 The Farmer’s Almanac tells us that the name “Pink Moon” comes from the herb moss pink, or wild ground phlox, which is one of the earliest widespread flowers of the spring. Other names for this month’s celestial body include the Full Sprouting Grass Moon, the Egg Moon, and among coastal tribes the Full Fish Moon, because this was the time that the shad swam upstream to spawn. Power Flow: energy into creating and producing; return balance to the nerves. Change, self-confidence, self-reliance, take advantage of opportunities. Work on temper and emotional flare-ups and selfishness. The Old Farmers’ Almanac, “The Full Pink Moon: April’s Moon Guide“.